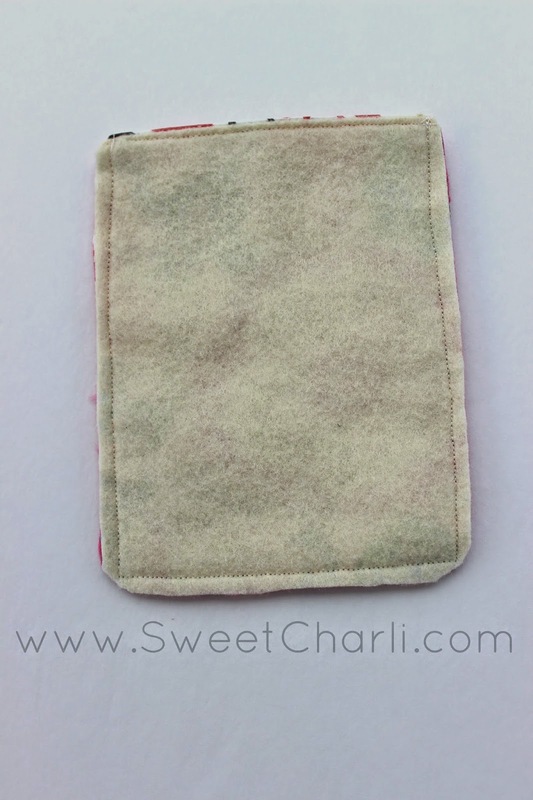 Sweet Charli has a GREAT solution for summertime, water fun and keeping your phone safe! Whip one of these up ASAP! you will love it as much as she does! 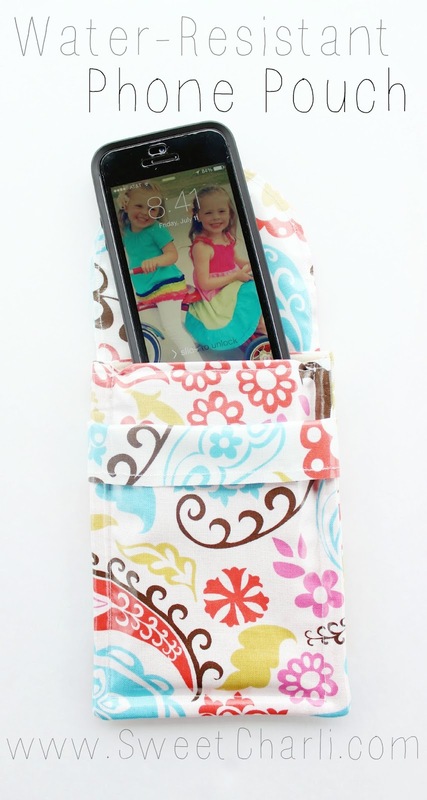 Smart solution for moms on the go with their kids this summer! I am so fed up with going to the pool and losing my phone amongst all of the wet towels, bag full of sunscreen, and other messy items. I also do not love taking my purse with me to the pool. 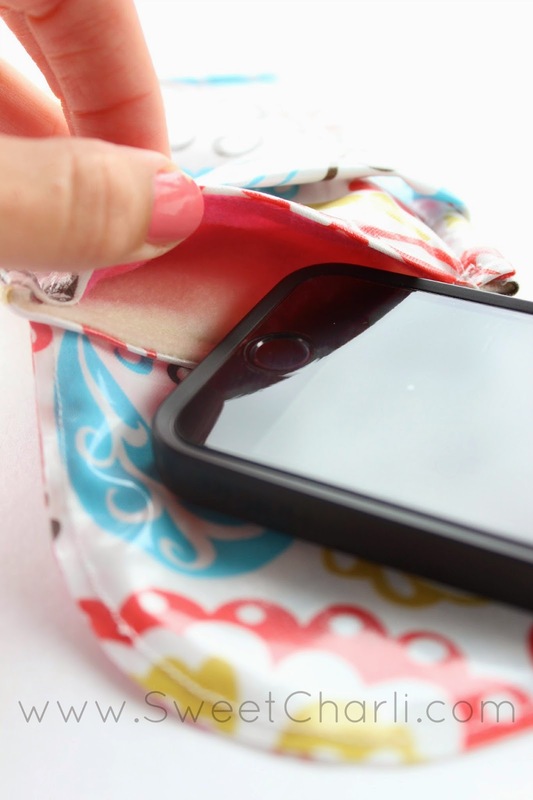 I have created a water-proof pouch for your phone, cash, credit card, and other small items that you can take with you to the pool without the worry of wet towels ruining them. I even lined the inside with felt! 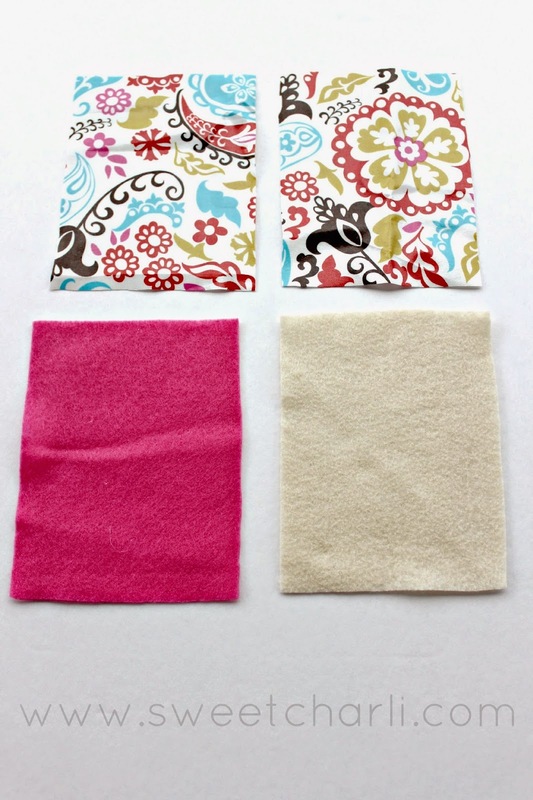 You will need two pieces of oil cloth, and two pieces of felt. 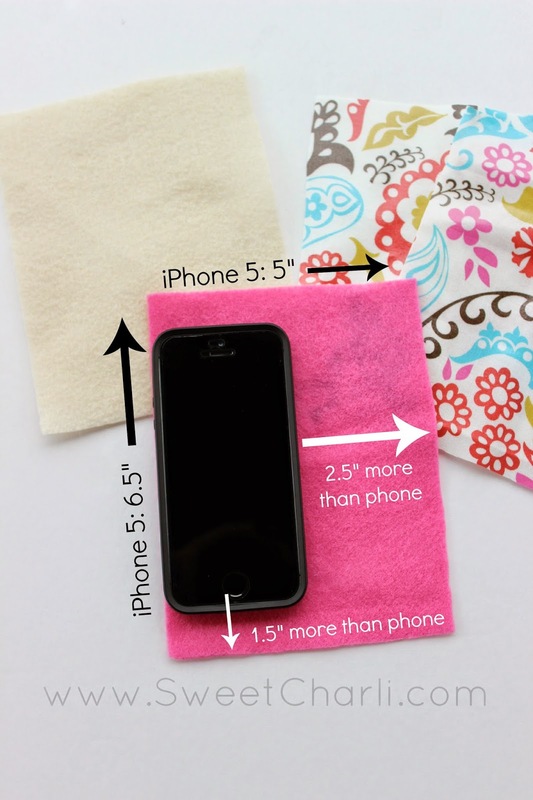 I have an iPhone 5 and included the measurements below which are 5″x6.5″. If you have a different phone, in the white text below I have shown you the measurements to do: Measure the width 2.5″ larger than your phone and 1.5″ length larger than your phone. 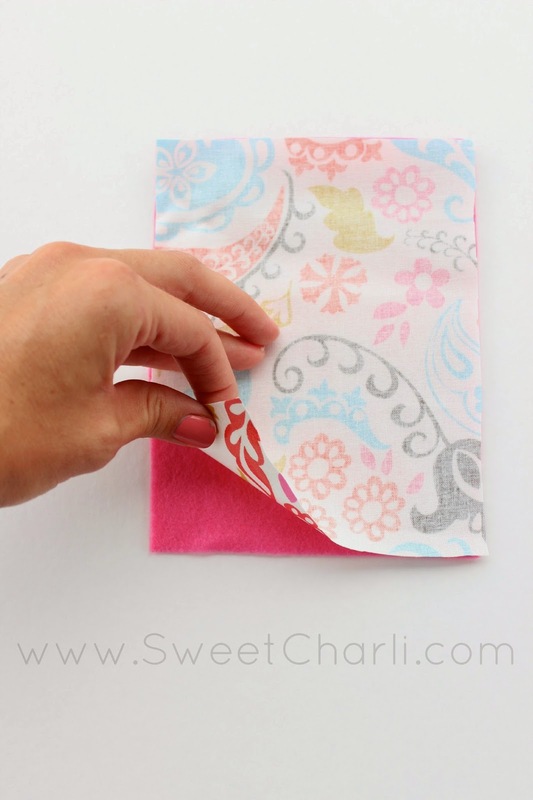 Once you have your pieces cut out, put one piece of oil cloth and one piece of felt together right sides touching. 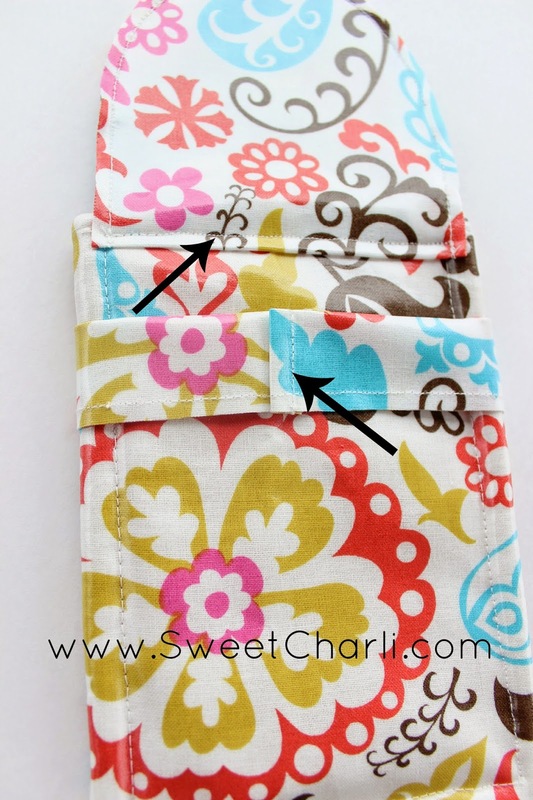 Do this with all pieces and then sew along the tops of each pair. Now you will place the pieces shown above together so that the rights sides of the oil cloth are touching. 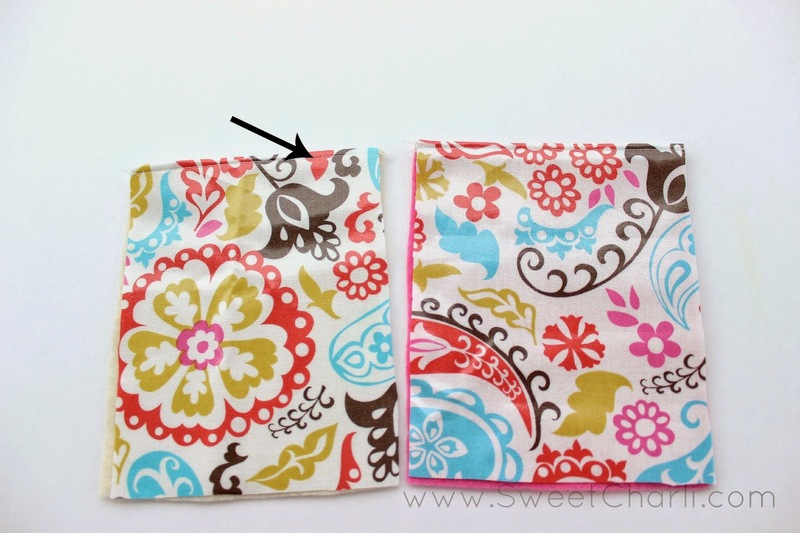 Sew down the sides and on the bottom with a straight stitch. I attached it to the back of the phone case with a straight stitch. I then wanted a “belt-like” feature to hold the flap down. I made this by cutting a long strip of oil cloth and folding over and sewing. 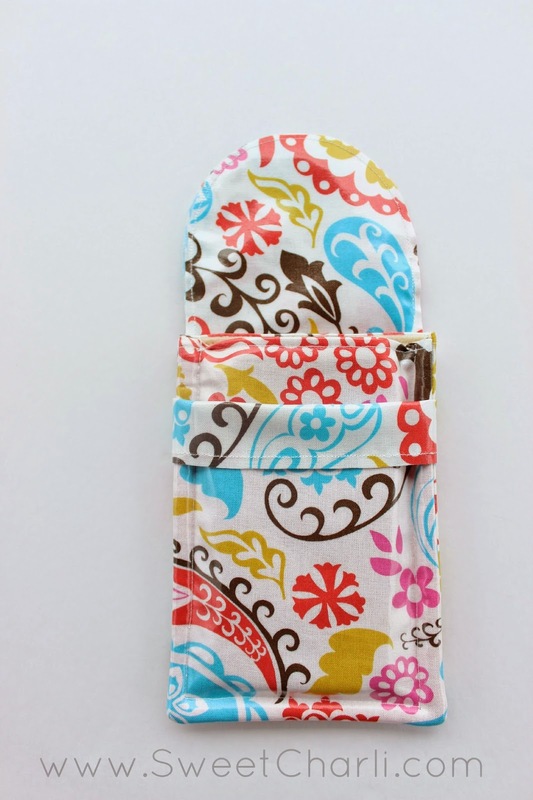 I wrapped it around the phone case and glued it on the back as shown below. 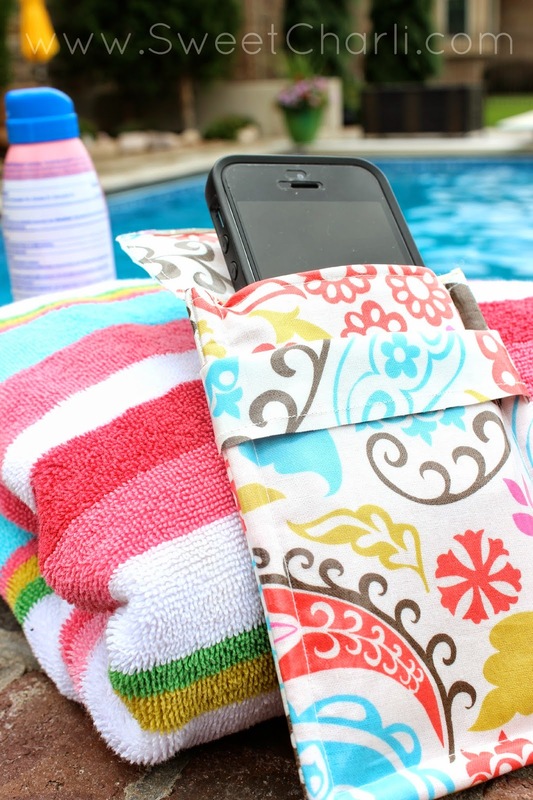 I have honestly LOVED this water-resistant phone cover ever since I made it! 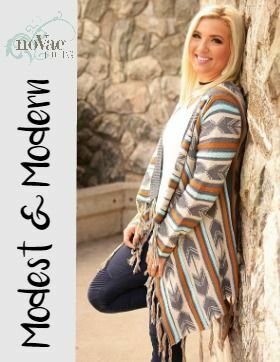 I take it everywhere with me – not just the pool! I love creating items in the summertime that make my life easier while playing. Check out this tote bag/towel combo I made here. This is brilliant. Thank you for sharing. i love it its so cute and very simple. ill be making a few of these! 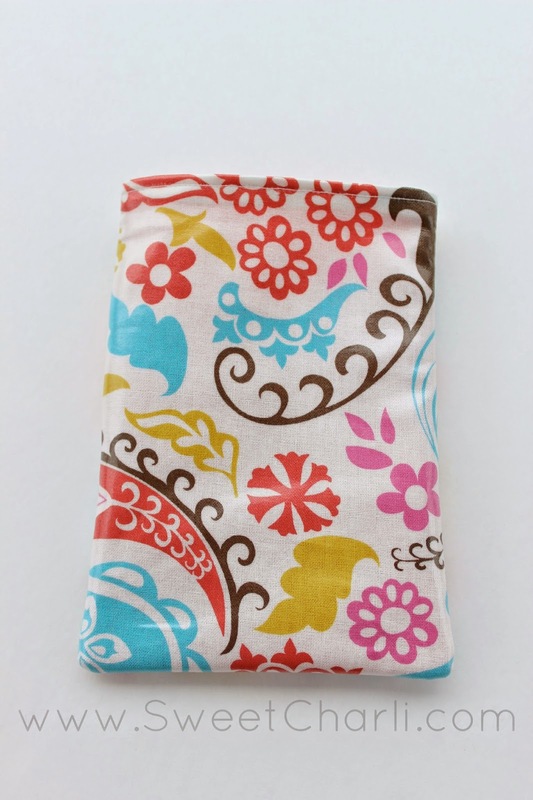 1 question, what is oil cloth and is it easy to find? Loved this idea, but what glue did you use to stick the belt on please.